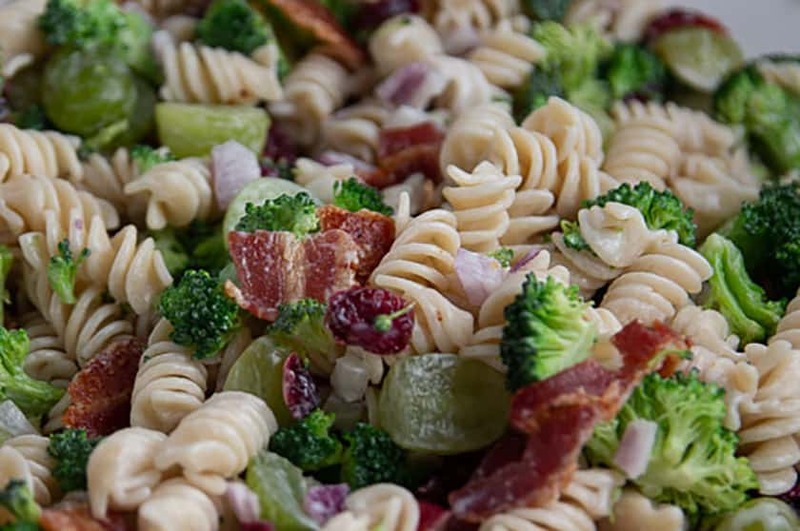 Oh my word, you’re going to love this Broccoli Pasta Salad. It’s the perfect blend of sweet and savory. 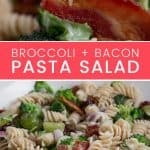 This pasta salad recipe makes eating your veggies a breeze!!! Begin by making some crispy bacon. I like to cook it in the oven, because it’s the least messy method to cook bacon! 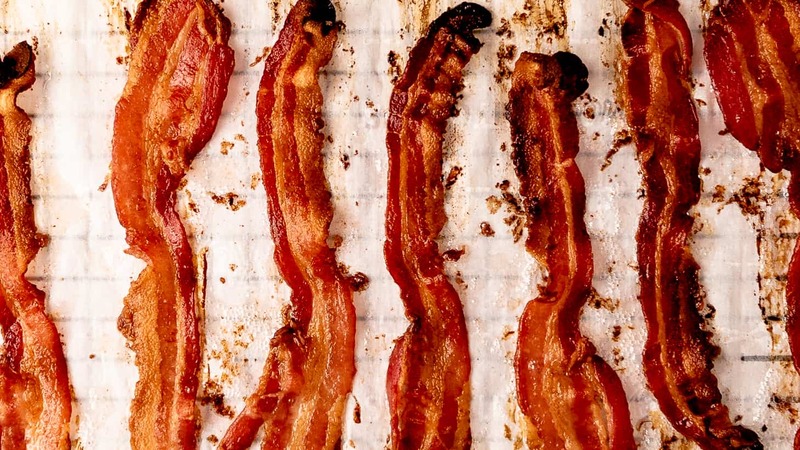 And this cooking method produces crispy bacon – every single time! Preheat the oven to 400°. Line a large baking sheet with aluminum foil and add a bacon rack on top. Place parchment paper on the oven rack and lay out the bacon. Make sure that the bacon pieces do not overlap each other. Allow the bacon to roast for 15 to 18 minutes (or until it looks crispy). Remove the bacon from the oven, dab with paper towels to remove the excess fat and let it air dry for a couple of minutes. Then chop the bacon into small pieces. The size is up to you. I like a mixture of small and medium size pieces because it adds some crunchy texture and biting into the bacon releases all that delicious bacon flavor! Be Gluten-Aware. If you choose to use commercial bacon bits instead of real bacon, be sure double check that they are gluten-free! You may be surprised to find that bacon bits can be a hidden source of gluten! Start by cooking the pasta according the instructions. We mostly use Trader Joe’s Organic Brown Rice & Quinoa Fusilli Pasta because of the texture. But go ahead and use your own favorite. I like pasta a bit more al dente, but that’s entirely up to your own preference. 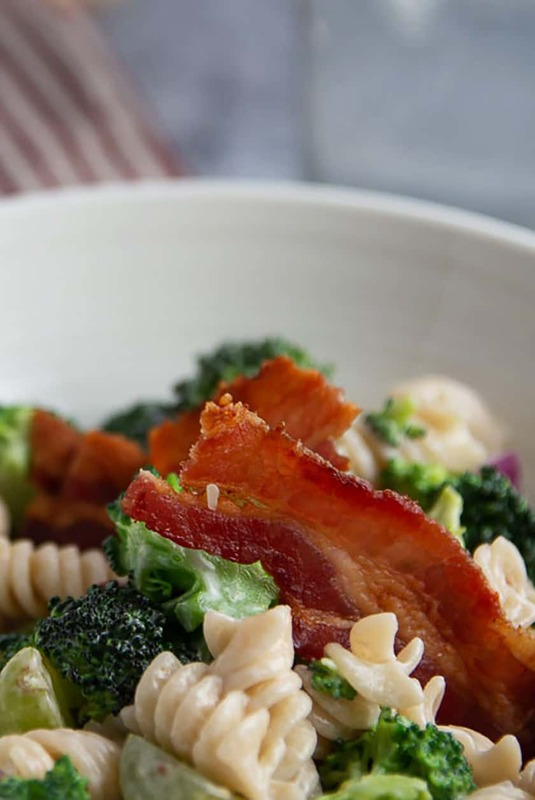 While the pasta is cooking, cut the broccoli into small bite-sized pieces. Chop the onion. Generally, I don’t cook the fresh broccoli because we like the extra bit of crunch texture of raw broccoli. But if you like the softer broccoli crunch, just add broccoli into the boiling pasta water for about one minute right before the pasta is done. 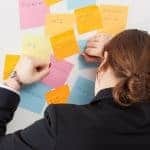 Cuts down on pot clean-up too! Chop the red onion and halve the green grapes. Add the cooked pasta. Then add the cut the broccoli florets, red onion, green grapes, cranberries, and bacon into a large bowl and combine well. This dressing couldn’t be more simple. Combine sour cream and mayo and whisk until smooth. Add apple cider vinegar (white wine vinegar or even lemon would work, too) and sugar. Drizzle the dressing over the salad mixture and combine well. I don’t season the salad with salt until after I’ve added the dressing because the dressing can wash away the salt or take on too much of it. I often don’t add more than a dash of salt because the bacon, sour cream, and mayo are bursting with flavor. 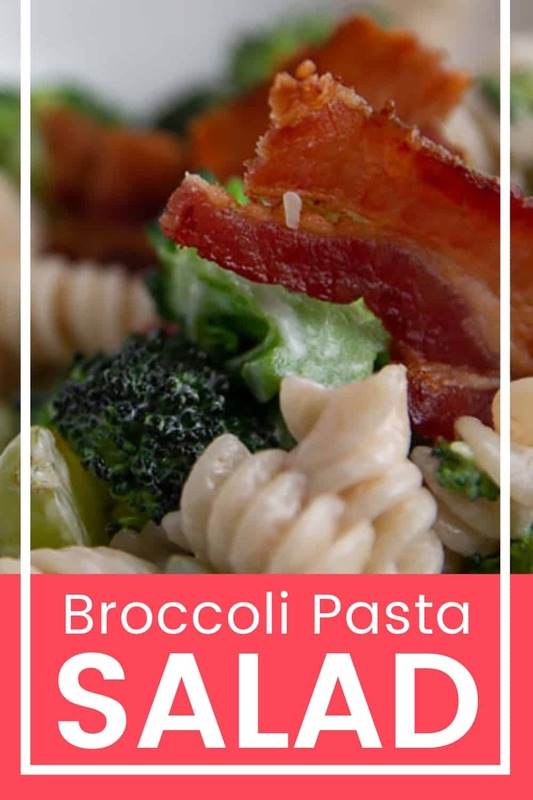 If you like the Broccoli Pasta salad, then you’ll want to check out these recipes because they are very simple to make but look and taste like they took hours. 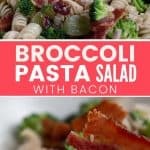 Can You Make The Broccoli Pasta Salad The Day Before? Yes. This salad will keep perfectly overnight. 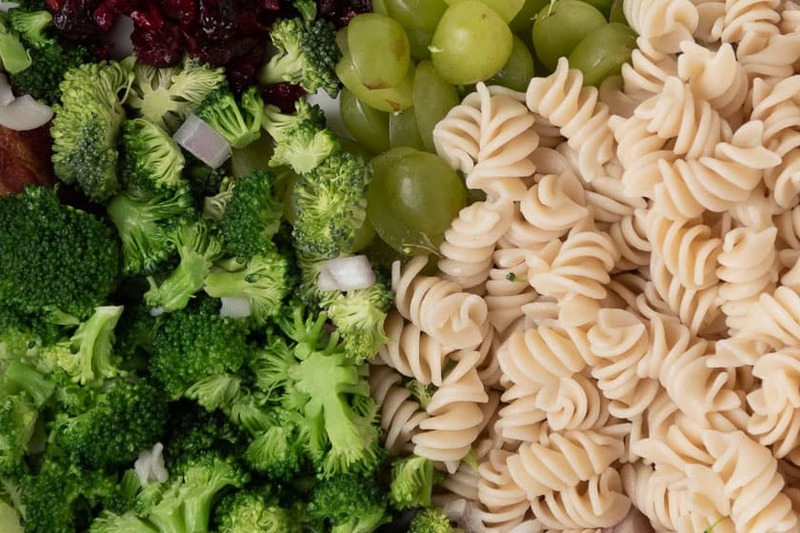 Unlike a leafy salad, the ingredients of the Broccoli Pasta Salad will hold up great. If you plan to store this dish for a second meal, keep some bacon set aside so that it stays crispy. 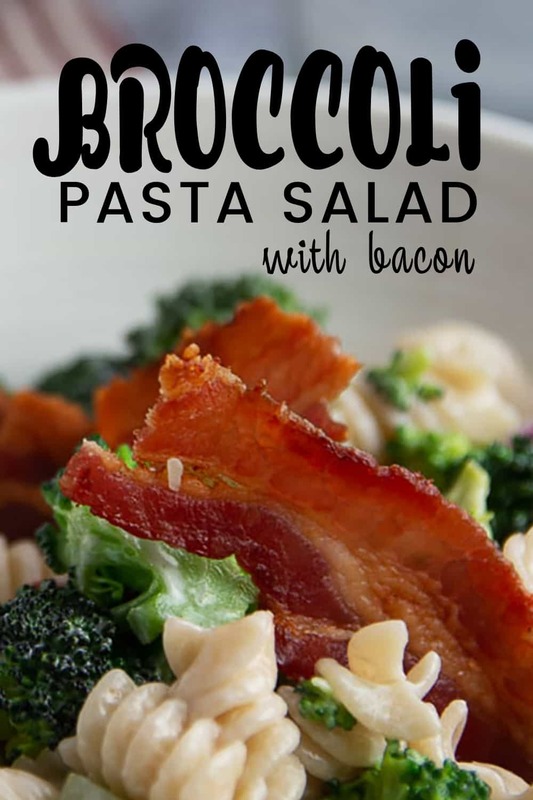 Drizzle those crispy bacon pieces over the top and fold into the salad just before serving. Another trick is to add the salad ingredients except for the salad dressing. Prepare the dressing and store it in a separate container overnight. And when you’re ready to serve the Broccoli Pasta Salad just add the salad dressing. 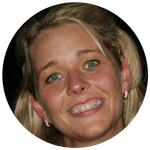 How long does cold pasta salad last in the fridge? Theoretically, cold pasta salad can last up to 5 days in the fridge. And while you can certainly do that, I recommend enjoying this salad within the first two days. If your house is anything like ours, you don’t have to worry about leftovers much if it contains bacon. 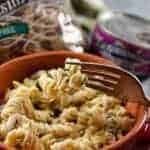 Can you heat up cold pasta salad? You could quickly put this salad into the microwave. But I prefer to take it out of the fridge about 15-20 minutes before we eat. This way you allow the cold pasta salad to slowly rise to room temperature. If you’re going to warm it up in the microwave, I wouldn’t do it more than a few seconds take the chill from the fridge out. 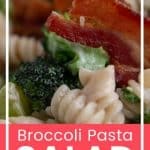 How to store cold pasta salad like the broccoli pasta salad? You’ve probably heard me say this before, but I love glass storage containers like these. 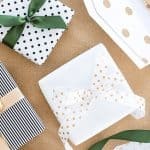 I find they are perfect for storing all kinds of food and especially leftovers. If you prefer plastic storage containers, I’ve used this brand for years. And it’s held up great. Full of sweet and savory flavors this pasta salad is incredibly delicious. Preheat the oven to 400°. Once preheated cook the bacon for 15-18 minutes or until crispy. After the bacon is cooked, chop it into small pieces. Set aside. Chop the broccoli into small pieces, halve the grapes, and dice the red onion. 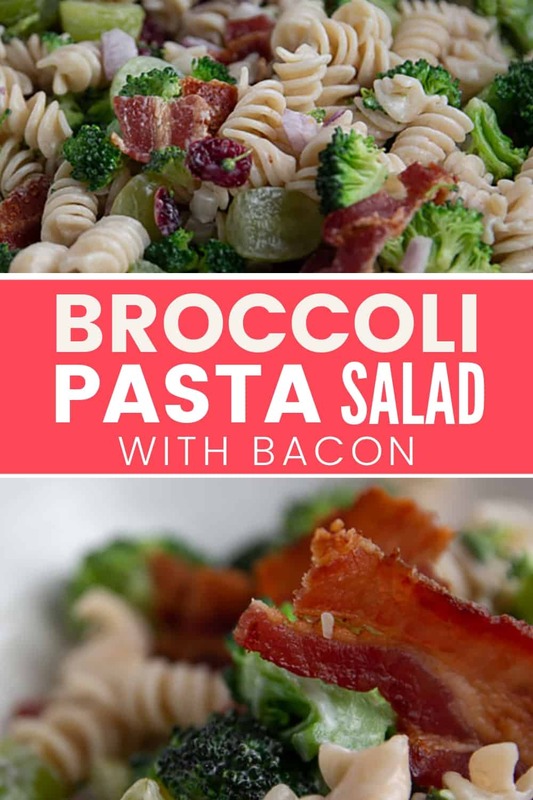 Combine cooked pasta, chopped bacon, broccoli, and fruit in a large mixing bowl. For the dressing, combine the sour cream, mayo, apple cider vinegar, sugar, and salt. This sound so amazing. I can’t wait to give this a try!!! I’m a firm believer that you can add bacon to anything to make any meal even better. 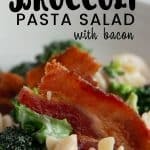 We didn’t have any on hand, so I thought for sure my kids would reject this broccoli pasta recipe, but much to my surprise they loved it! Then asked for seconds! It’s basically wizardry in a simple salad!